There is an application for almost everything. With different companies leveraging high-end services into mobile application. It is possible to build almost any app. Have you been craving for a home retouch? and a branded mobile application is the first thing in your list? Below are must have best home decor apps that will transform the face of your home decor. It can be overwhelming to blend in the appropriate choice of tools, color, gradient, texture, and shapes while coming up with the right home decor. However, digitization makes it easy to come up with a final design that is not only eye-catching but intuitive. An android or IOS application will enable you to come up with the appropriate wall color, vase, and furniture set arrangement. It doesn’t matter the size of your house, the following room decor app will provide the perfect decoration tips for your home. The Smith Home Remodel room decorating app enables you to search through contractor profiles of interior design professionals. 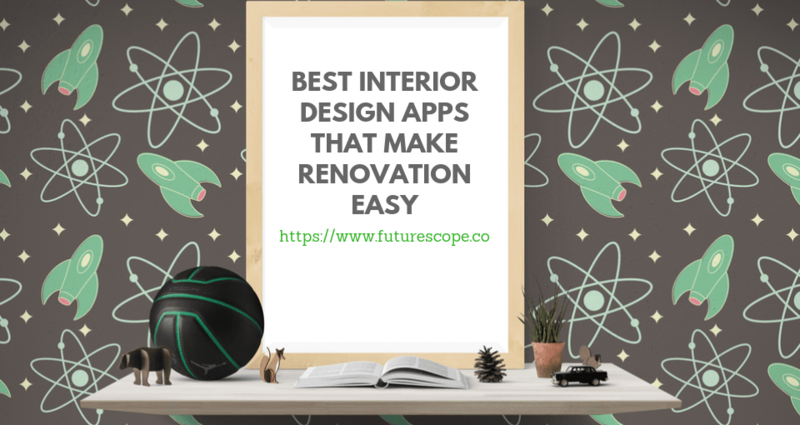 The app focuses on making your journey to finding and connecting with an interior design contractor easy and secure. In fact, the professionals are ready to accomplish a complete redo, minor home changes or easy renovations. The application also enables you to compare among a plethora of contractor and choose from the best. You will also compare prices and the shopping features according to your locality. The view in room 3D mode app enables you to try new furniture products before making a purchase. View in Room 3D mode is a feature of the Houzz app. You could search an assortment of over 300, 000 product selections on the Houzz app and view each product in 3D mode. The Houzz app provides blog posts, articles, and user guides to inform users about interior design, home decor, and architecture. Additionally, the application also helps users to choose appropriate colors, arrangement sets and design expertise for both interiors and exteriors. Magic Plan is among the easiest to use and easily accessible room decor app. The app allows builders to sketch floor plans. All you have to do is tap and point while walking around the floor square to come up with an accurate plan. In fact, the application allows you to create a floor plan across any space. From the app’s floor plan, you can then customize a list of tasks and materials, export PDF/CAD floor plans and create prices for cost estimates. If you are looking for a room decor app that will make the look and feel of your home beautiful and distinct, you have got Home Design 3D. The app allows you access to features that will transform the quality of your home remodeling and designing. Apart from offering unique ideas, the application also provides accurate interior design models that help preserve room attraction and space. The application works for enthusiasts, professionals, and students. Basic functionalities include drawing 2D or 3D floor plans, indoor and outdoor furnishing as well as visualizing your project in real-time 3D or 2D. iHandy carpentry is a lightweight version interior design application that enables you to work on smaller projects. Essentially, the application brings at your disposal five interior design elements. A good example of tasks that the iHandy app helps you achieve includes placing vases or hanging a picture frame. O’Reilly media recommended iHandy carpentry application as the most beautiful application. You can find the app both on iOS and Android. Zillow Digs will help first-time homeowners generate new ideas for their home decoration needs. Ranked as the most downloaded room decoration app, Zillow Digs will transform how a room looks like. At the touch of the screen, you will gain access to flawless home remodeling and renovation tips. The application will also guide you on interior design tools that are essential in retouching your home. Zillow Digs is only available to IOS and Mac OS users. BrightNest offers an organized step by step design process for your decorating apps. The design team behind the application believes that interior decor should be an organized step by step procedure. Execution of a room decor plan is a complicated process. Therefore, requires an investment of significant effort in terms of creativity, accuracy, and materials.BrightNest ensures that a home decor professional or enthusiast does not miss any detail during the decoration. In fact, the app will help you arrive towards the right mix of colors, interiors and furniture sets for your room decor. Lastly, the application will suggest classic and modern interior design ideas to help make your home decor a fascinating experience. BrightNest is available to both IOS and Android mobile users. From luxurious and flouncy interior design tips to virtualization of your home decor experience. Homestyler interior design brings a combination of real brands, furniture products, decor items and design inspiration from real-world brands. With the application, one can just snap a photo of the room into a virtual environment. Through the photo, the application will accurately model a 3D playground for space. Additionally, the application will also provide industry tips and professional feedback for design queries. Lastly, the application will suggest items to improve the look of your design as well as insight for arrangement. The application is available on both google play and apple store. The above applications are a must have for any interior design student, professional or enthusiast. The list was arrived at through considering the following factors, the simplicity of use, availability, design elements and level of dimensional design. Should you have a suggestion, kindly do not hesitate to reach our mailbox.